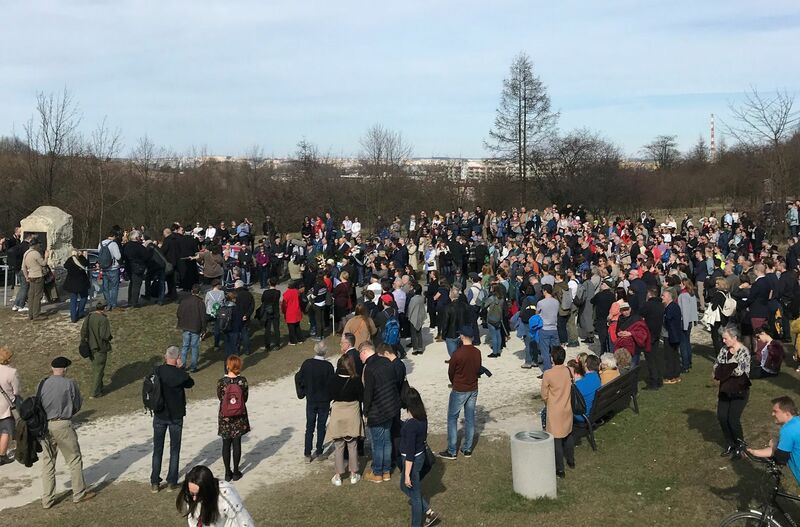 On Sunday, hundreds marched across Krakow’s Podgórze in the annual Marsz Pamięci (March of Remembrance) to mark the 76th anniversary of the liquidation of the Jewish ghetto which was once there. 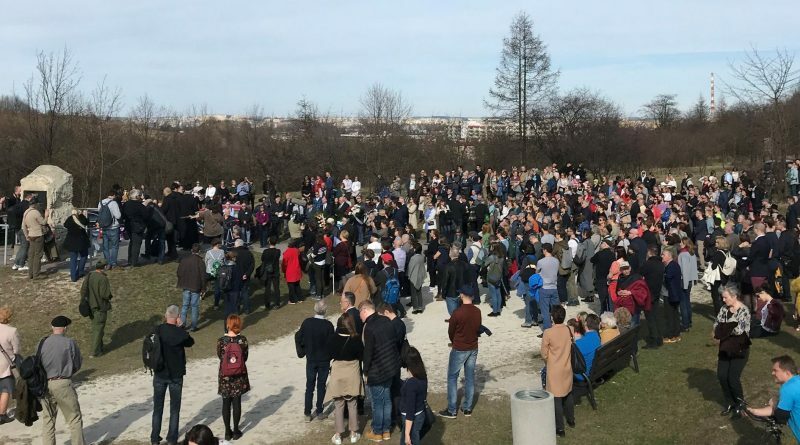 The crowd started at Plac Bohaterów Getta (Ghetto Heroes’ Square), where there was a small ceremony, and then walked about four kilometers to the Płaszów Nazi concentration camp to pay their respects to the victims of the Holocaust and celebrate the revival of Jewish community in Krakow. Among the participants were Holocaust survivors, representatives of the city of Krakow and the Polish government, and Anna Azari, the Israeli ambassador to Poland. In a speech at the event, Azari recalled the deadly shooting at a New Zealand mosque two days earlier, saying that good people everywhere try to fight racism everywhere. Before World War II, Jews made up about a quarter of Krakow’s population, especially centered in Kazimierz. Starting in 1941, the Nazi German occupation began forcibly relocating thousands of Jews from Krakow and the surrounding region into the ghetto, where (if they survived) they were eventually shipped to concentration camps in Płaszów, Auschwitz, and Bełżec. Overall, around six million Jews were killed in the Holocaust, along with others targeted by the Nazis such as Slavic, Roma, disabled, and homosexual people. The March has occurred annually since the 1980s on a smaller scale, and now has the patronage of the City of Krakow and the Jewish Culture Festival.